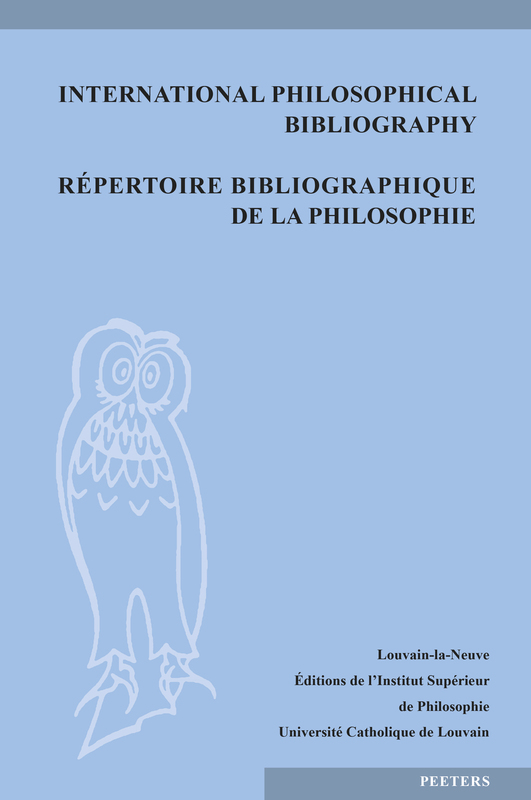 From 1991 to 2008, it is published by the Institut Supérieur de Philosophie (Université Catholique de Louvain) and the Hoger Instituut voor Wijsbegeerte (Katholieke Universiteit Leuven), as a single publication with three titles: International Philosophical Bibliography – Répertoire bibliographique de la philosophie – Bibliografisch Repertorium van de Wijsbegeerte. The on-line version (IPB on Peeters Online Bibliographies) was launched in 1997. This database is updated 4 times a year and enables users to make extensive searches.